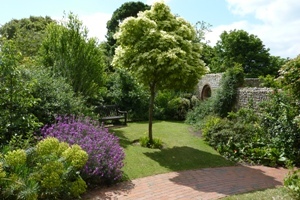 All seven of Brighton & Hove's award-winning parks have been re-awarded prestigious Green Flag Awards by the Keep Britain Tidy Campaign for 2018/19. We are entering the scheme again for the 2019/20 round and expect to hear the results in summer 2019. The Green Flag Award scheme was designed to raise the standard of public parks and green spaces in England and Wales by recognising and rewarding the best examples in the country. Our parks and green spaces have been successfully competing in the prestigious annual Green Flag Awards since 1998. What makes a Green Flag Park? The overall impression for any member of the community - regardless of the purpose of their visit - should be positive and inviting. The park or green space must be a healthy, safe and secure place for all members of the community to use. For visual as well as health and safety reasons, issues of cleanliness and maintenance must be adequately addressed. Methods used in maintaining the park/green space and its facilities should be environmentally sound. Attention should be paid to the conservation and appropriate management of landscapes, wildlife, fauna, buildings and structural features. The park or green space management should actively pursue the involvement of members of the community who represent as many park or green space user groups as possible. There should be good provision of information to users, about management strategies, activities, features and ways to get involved. The park/green space should be promoted as a community resource. A management plan or strategy should be in place; this should clearly address all the above criteria. A financially sound management of the park or green space must also be demonstrated. To find out more about the award, visit the Green Flag website. If you have visited any of our Green Flag Parks, why not let us know what you think? Contact CityParks@brighton-hove.gov.uk or call 01273 292929.